Sandvik underground trucks are designed to transport rock material safely, efficiently and reliably in extreme conditions. The trucks are rugged, compact and powerful, offering payloads from 15 to 63 tons, and operating at a low cost per tonne. ​The newest i-series trucks include intelligence inside and smart solutions. Our underground trucks offer high capacity in a compact form. They are highly maneuverable with small turning radius and operate at high speed. Features include e.g. FEA-optimized frames and dump boxes, powerful diesel engines, advanced drive train technology, four-wheel drive and ergonomic controls. Our new i-series trucks feature Sandvik Intelligent Control System that acts as the software backbone for the intelligent equipment, allowing us to build multiple smart solutions, such as Integrated Weighing System (IWS) and AutoMine™ Trucking, to improve performance. Sandvik TH663i is a high productivity underground truck and one of our latest underground haulage machines. This heavy duty truck offers a 63-metric-ton payload capacity, high speed on inclines and a low cost per hauled tonne. Sandvik TH551i is a high productivity underground truck and one of our latest underground haulage machines. This heavy duty truck offers a 51-metric-tonne payload capacity, high speed on inclines, and a low cost per hauled tonne. Sandvik TH545i is a high performance 45 tonne articulated underground dump truck for use in 4.5 x 4.5 meter haulage ways. The truck’s performance is based on proven design, high engine power and high payload related to own weight. 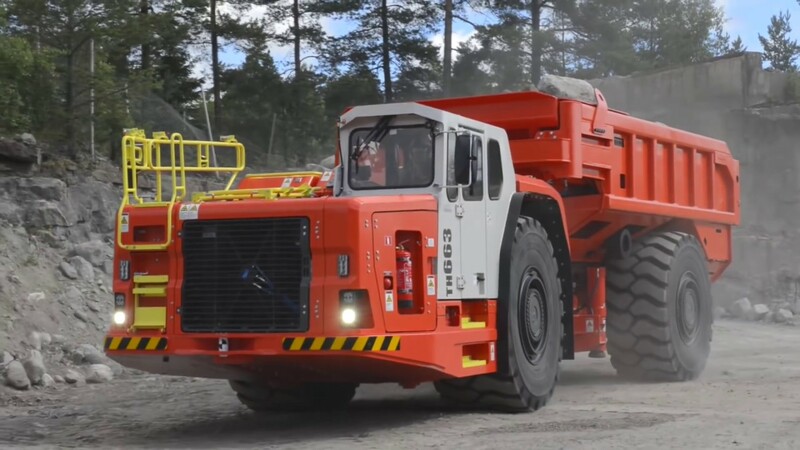 Sandvik TH430L is an underground mining truck for low profile applications, fitting in a 4 x 2 m envelope and offering a haulage capacity of 30 tonnes. Sandvik TH430 is an underground mining truck that offers a haulage capacity of 30 metric tons and sets new standards in safety, reliability and productivity. Designed for service efficiency and maximum uptime, this truck is made for medium-sized operations. Sandvik TH320 is a mining truck with a payload capacity of 20 metric tons designed for small and medium-sized hard rock mines. Despite the relatively high payload capacity, this underground truck has the same overall width as most 15-ton trucks on the market. 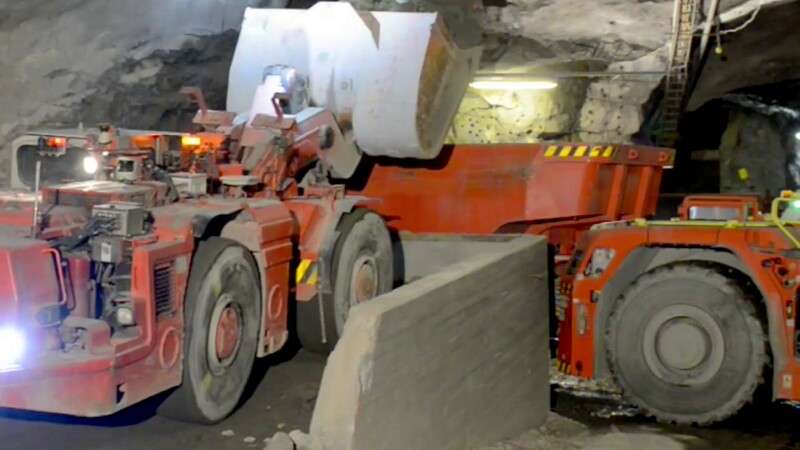 Sandvik TH315 is a compact underground truck with a 15-metric-ton capacity built to offer the flexible mobility necessary in narrow-vein mining conditions. This mining truck carries high payloads for its weight and is maneuverable and quick on inclines.